What if we could use everyday objects to tackle fear amongst the elderly in the United Kingdom? The project ‘The Aging Wall’ was part of the Design Council’s four day workshop - ‘The Transform Aging Challenge’, mentored by deisgn associate at the organisation, Daniel Letts. There were six teams of five and each team had a different problem statement to work around, to do with the elderly. Our topic was how to tackle fear of crimes and prevent door step scams. Over the course of the workshop, we used different design thinking methods and tools to come up with a possible solution. The problem our team was given to work around was ‘Tackling fear of crime and door step scams’ amongst the elderly. Our main insight which we drew inspiration for our solution was that elderly people who are a target of such crimes are restricted to their homes and have limited awareness. Our research began with identifying the stakeholders, defining our research objectives, then going on to forming ‘how might we’ questions to look at the problems we could be looking at solving. We worked on a project canvas to predict future solutions. Based on the how might we question we brainstormed different ideas, before putting them into clusters based on the nature of the idea. 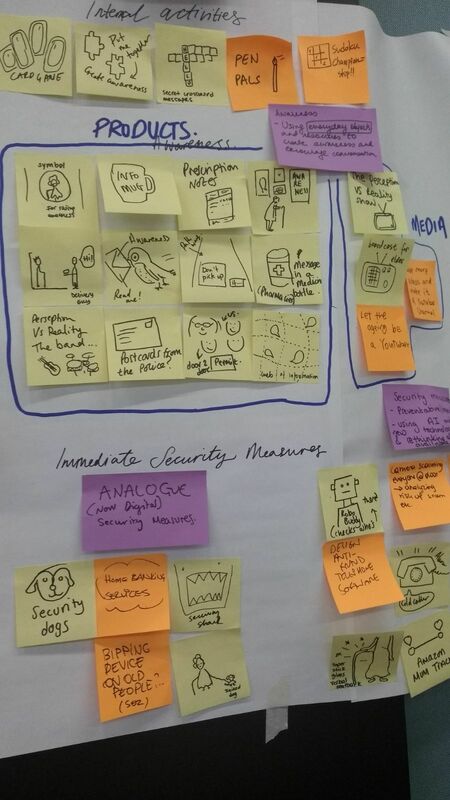 Some of the clusters were ‘community based’, ‘products’, and ‘media.’ The clusters were mapped on to the difficulty, impact matrix to see which solutions would have maximum impact and could be carried out ease and cost effectiveness in terms of execution. 1) Most of our target audience might be restricted to their homes with limited movement. 2)They are often closed off to the idea of using new media for information. The most effective way to reach them would be to use everyday products/ services that they are comfortable using. 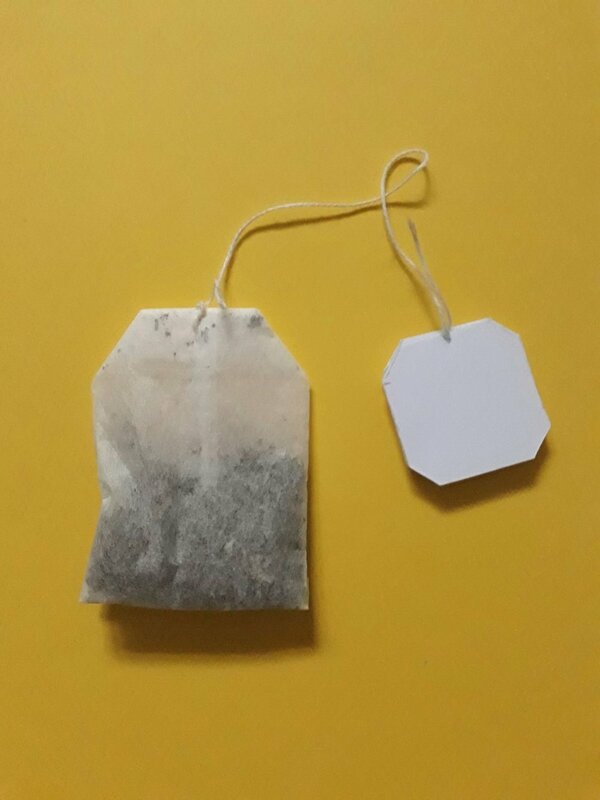 After creating a service blueprint we used one of the services, the tea bag, to demonstrate how this might solution might be implemented. We took ‘tea bags’ in the ‘food and drink’ category as the everyday object to prototype and show as an example of how this solution could be brought to life. Our team mate Amber Ruske, who did her MA in Service Design from London College of Communication, worked chiefly on the prototype development bit of the project. This project was done in collaboration with my team members, Pinar Apaydin, Rachel Miller, Amber Ruske and Xinyi Li. Our team received a special commendation from the Design Academy, a unit of Design Council for the project.